Please note our opening hours when making your reservation. Your reservation is only valid if we confirm it via e-mail or phone! Making on-line reservation on the same day you wish to come is only possible at least 3 hours before arrival. Within 3 hours of your arrival please call us! 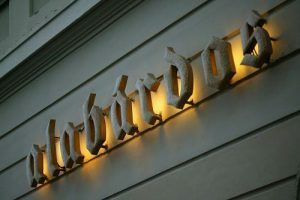 We inform you that Alabárdos is a non-smoking restaurant. Please note, that in busy periods, for reservations above 8 people, credit card guarantee might be required. H-1014 Budapest, Országház u. 2.